Make every minute count with this set of 6 customizable schedules for bloggers who have just 8-15 hours a week to work on their blog. Use two of my most profitable sales funnel email scripts as a blueprint to write your own money-making emails. Reach your goals with ease with this printable planner, which includes a 5-page business plan template, yearly planning and tracking sheets, monthly and weekly spreads, an editorial calendar, and more. A step-by-step plan to launch your blog the smart way and grow your audience, brand, and income in the first 90 days. Learn how to make Pinterest work for you with detailed strategies on how to get started with Pinterest, craft an advanced pinning schedule, and boost your blog traffic like a PRO. 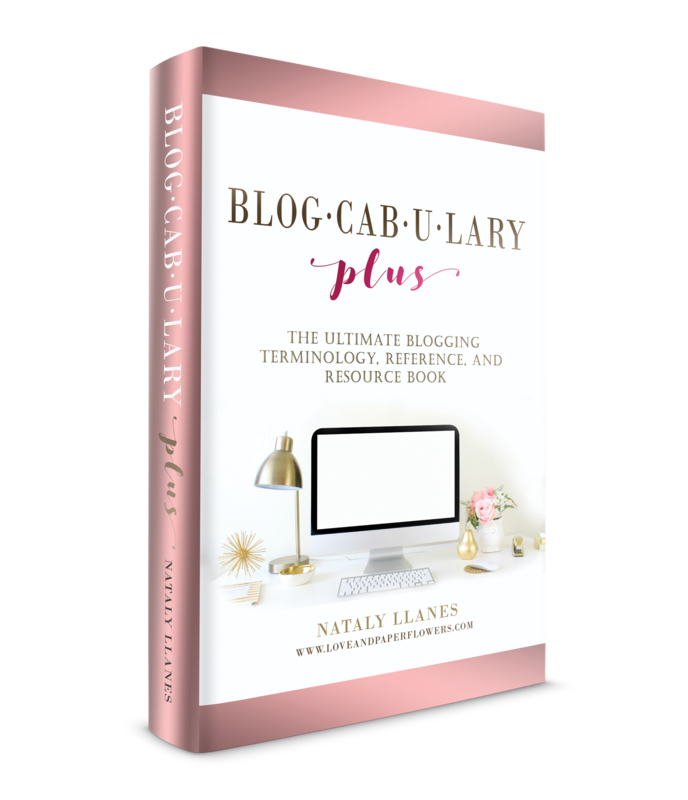 Blogcabulary Plus is the ultimate blogging terminology, reference, and resource book, which includes 340+ blogging terminologies, 50+ best blogging resources, tools, and services, and 7 blogging tutorials. Note: These are affiliate links, which means if you buy using my link, I earn a small commission at no extra cost to you. I only recommend ebooks that I’ve tried and loved.